In this Test Bench I characterized the 12BG76-8, a high power handling 12” NBR pro sound woofer from B&C Speakers. This month’s sample submission is in the upper range of power handling in this extensive group with a continuous power handling rating of 1000 W (500 W nominal). Applications range from two and three-way PA speakers and compact two-way designs for high SPL in limited spaces. Features for the 12BG76-8 are similar to most high-performance pro sound drivers, fairly substantial. This article was originally published in Voice Coil, October 2018. In this Test Bench I characterized the 12BG76-8, a high power handling 12” NBR pro sound woofer from B&C Speakers (see Photo 1). The Italian manufacturer has a rather extensive line up of 12” pro sound woofers, 19 in total: 10 neodymium motor 12” models and nine ferrite motor 12” models. This month’s sample submission is in the upper range of power handling in this extensive group with a continuous power handling rating of 1000 W (500 W nominal). Applications range from two and three-way PA speakers and compact two-way designs for high SPL in limited spaces. Photo 1: B&C Speakers 12BG76-8 woofer. 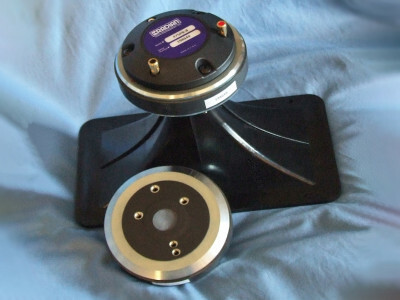 Figure 1: B&C Speakers 12BG76-8 woofer 1 V free-air impedance plot. Table 1: Comparison data for the B&C Speakers 12BG76-8. Features for the 12BG76-8 are similar to most high-performance pro sound drivers, fairly substantial. Starting with the frame, the 12BG76-8 uses a proprietary six twin-spoke cast-aluminum frame, incorporating six 40 mm × 3 mm rectangular vent holes in the area below the spider mounting shelf for enhanced voice coil cooling. 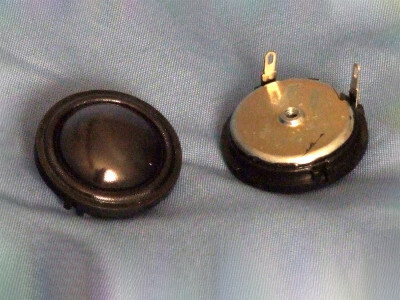 This series of cooling vents enables air to move past the voice coil and across the front side of the neodymium motor assembly. The cone assembly consists of a curvilinear paper cone with a TWP waterproof coating on both sides of the cone along with a 5” diameter paper dust cap, likewise with a waterproof coating. Compliance is supplied by a NBR surround, which is unusual for a pro sound woofer, mostly because NBR surrounds are heavier than the pleated cloth-type surrounds found in most pro woofers. Remaining compliance comes from a double silicone 6” diameter flat spider (damper). The motor design on the 12BG76-8 utilizes an inside neodymium slug along with a T-shaped pole piece. 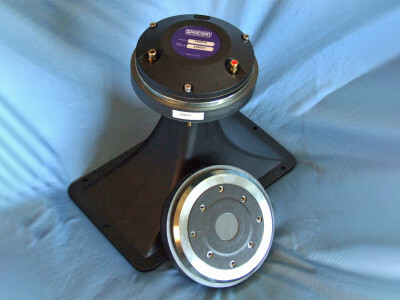 The neodymium magnet motor was FEA-designed using a 76 mm (3”) diameter voice coil wound with round copper wire on a non-conducting glass fiber former. 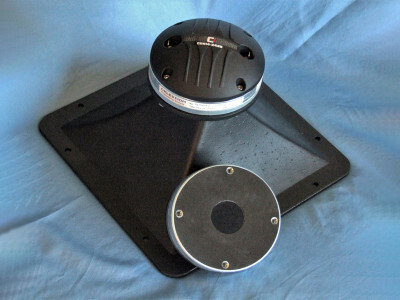 Motor parts, the return cup, and front plate are coated with a black heat-emissive coating for improved cooling, with the cooling additionally enhanced by a 36 mm flared pole vent. 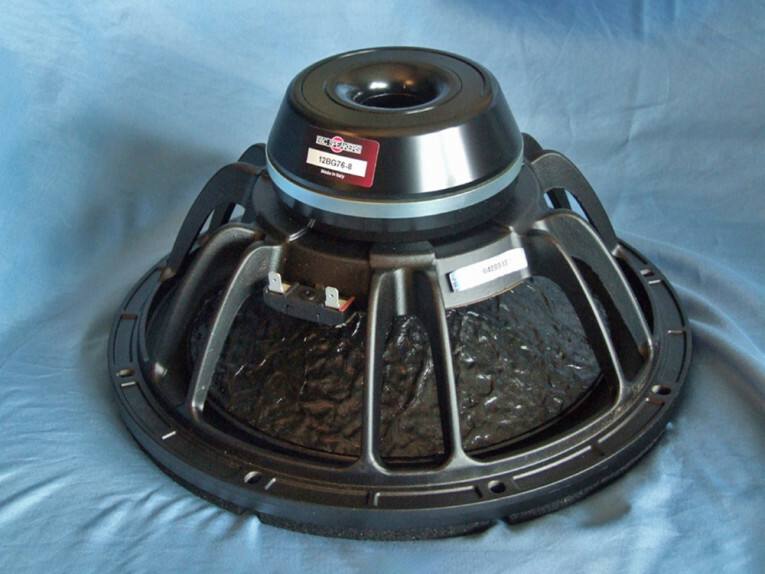 Last, the voice coil is terminated to an injection-molded terminal block with standard solderable terminals. Figure 2: B&C Speakers 12BG76-8 computer box simulations (black solid = sealed at 2.83 V; blue dash = vented at 2.83 V; black solid = sealed at 50 V; blue dash = vented at 52 V). Figure 4: Cone excursion curves for the 50 V/52 V curves shown in Figure 2. I commenced testing the 12BG76-8 using the LinearX LMS analyzer and VIBox to create both voltage and admittance (current) curves with the driver clamped to a rigid test fixture in free-air at 1V, 3V, 6V, 10V, 15V, 20V, 30V, and 40V, allowing the voice coil to progressively heat up between sweeps. 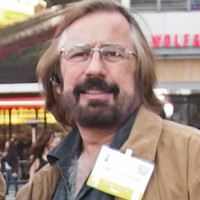 The 12BG76-8 remained sufficiently linear enough for LEAP 5 to curve fit at the 40 V level, so all the data was utilized. Following my established protocol for Test Bench testing, I no longer use a single added mass measurement and instead use the physically measured Mmd data (141.1 grams for the 12BG76-8). I post-processed the 16 550-point stepped sine wave sweeps for each 12BG76-8 sample and divided the voltage curves by the current curves to generate impedance curves. I derived the phase using the LMS calculation method, and along with the accompanying voltage curves, imported them into the LEAP 5 Enclosure Shop software. Because the T-S parameters provided by the majority of OEM manufacturers are generated using either the standard model or the LEAP 4 TSL model, I additionally created a LEAP 4 TSL parameter set using the 1 V free-air curves. Finally, I selected the complete data set, the multiple voltage impedance curves for the LTD model, and the 1 V impedance curve for the TSL model in LEAP 5’s Transducer Model Derivation menu and created the parameters for the computer box simulations. 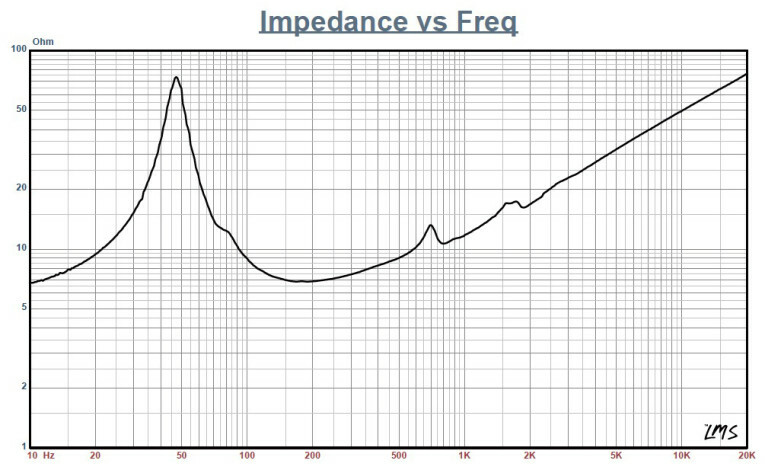 Figure 1 shows the 1 V free-air impedance curve. 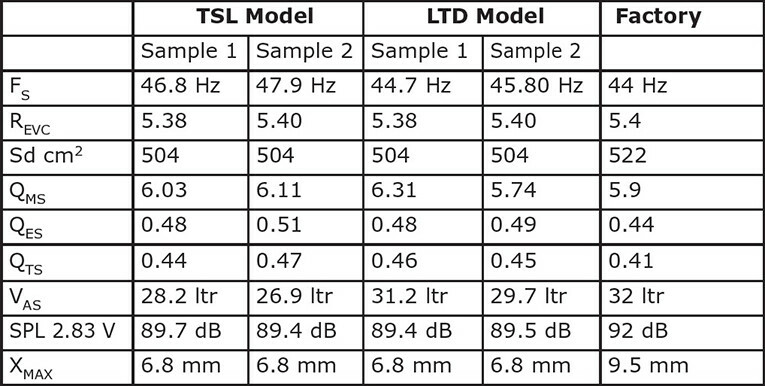 Table 1 compares the LEAP 5 LTD and TSL data and factory parameters for both of the B&C Speakers 12BG76-8 samples. LEAP 5 parameter calculation results were in close agreement with the published factory data, but a couple of minor exceptions. My Sd calculations include half the surround while B&C Speakers’ Sd was slightly less conservative. Also the published coil length and gap height dictate a 6.75 mm Xmax, the B&C Speakers 9.5 mm Xmax number is likely accounting for fringe field effects. Following my measurement protocol, I configured computer enclosure simulations using the LEAP LTD parameters for Sample 1. I programmed two computer box simulations into LEAP 5—one the factory recommended vented box with a 1.4 ft3 volume (15% fill material) tuned to 42 Hz and a Chebychev/Butterworth vented alignment with a 1.1 ft3 volume tuned to 41 Hz, also simulated with 15% fiberglass damping material. Figure 2 shows the results for the 12BG76-8 in the two vented enclosures at 2.83 V and at a voltage level sufficiently high enough to increase cone excursion to Xmax + 15% (6.3 mm). This produced a F3 frequency of 44 Hz (F6 = 34 Hz) for the factory recommended enclosure and -3 dB =50 Hz (F6 = 40 Hz) for the Chebychev/Butterworth vented simulation. Increasing the voltage input to the simulations until the maximum linear cone excursion was reached resulted in 115.5 dB at 50 V for the factory recommended box and 116 dB for a 52 V input level for the smaller vented box. Figure 3 shows the 2.83 V group delay curves. Figure 4 shows the 50 V/52 V excursion curves. 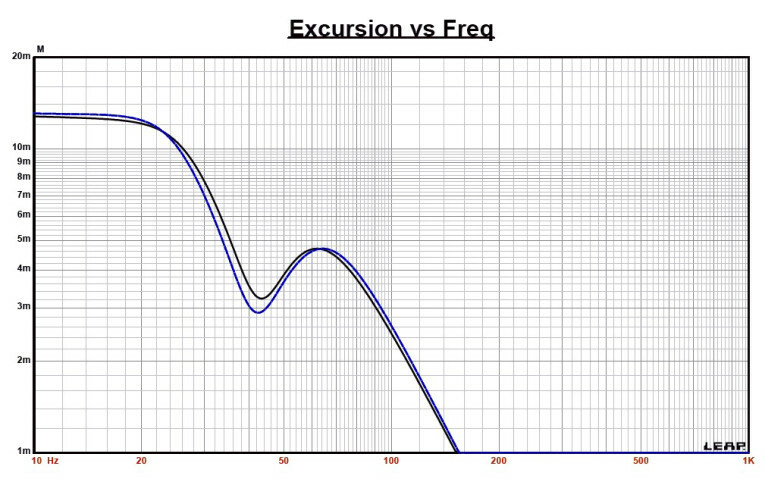 Please note that the drivers start over excursing below 30 Hz, so an appropriate high-pass filter will considerably increase the undistorted output. 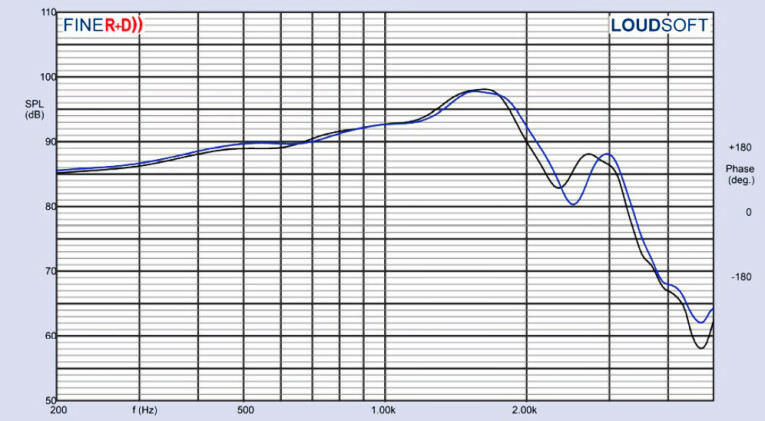 Figure 5: Klippel analyzer Bl (X) curve for the B&C Speakers 12BG76-8. 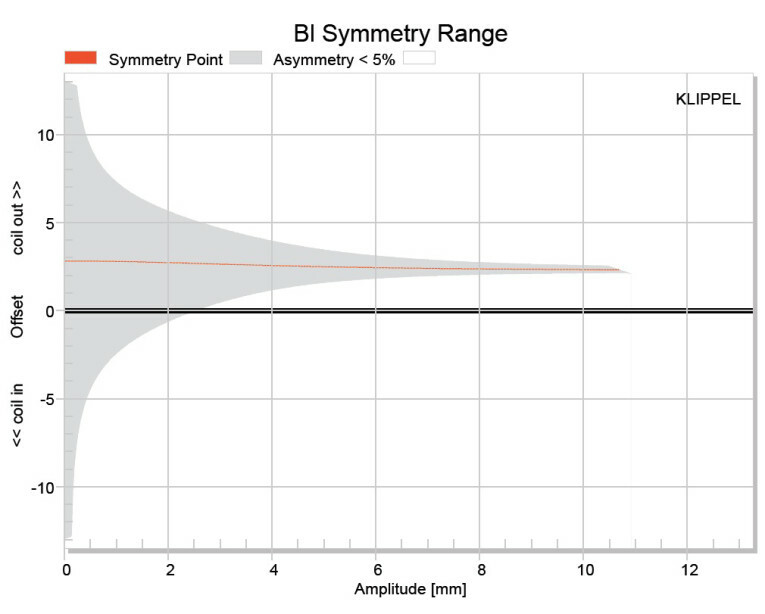 Figure 6: Klippel analyzer Bl symmetry range curve for the B&C Speakers 12BG76-8. 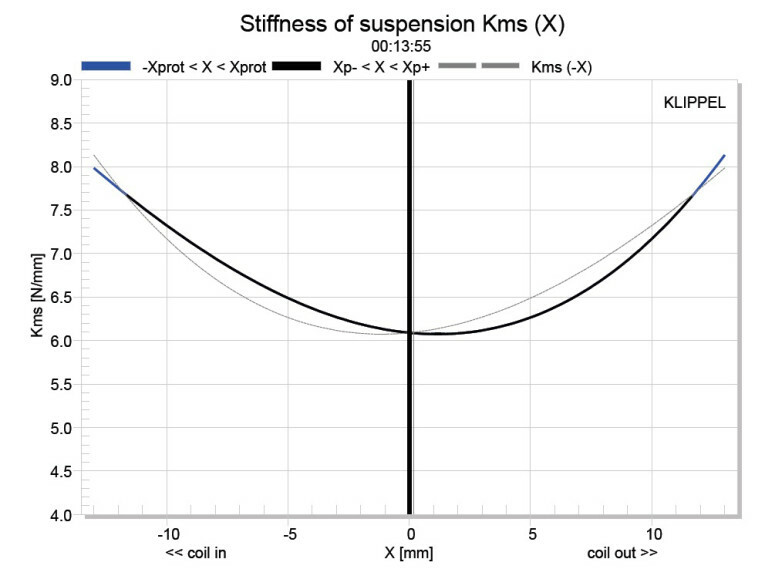 Figure 7: Klippel analyzer mechanical stiffness of suspension Kms (X) curve for the B&C Speakers 12BG76-8. 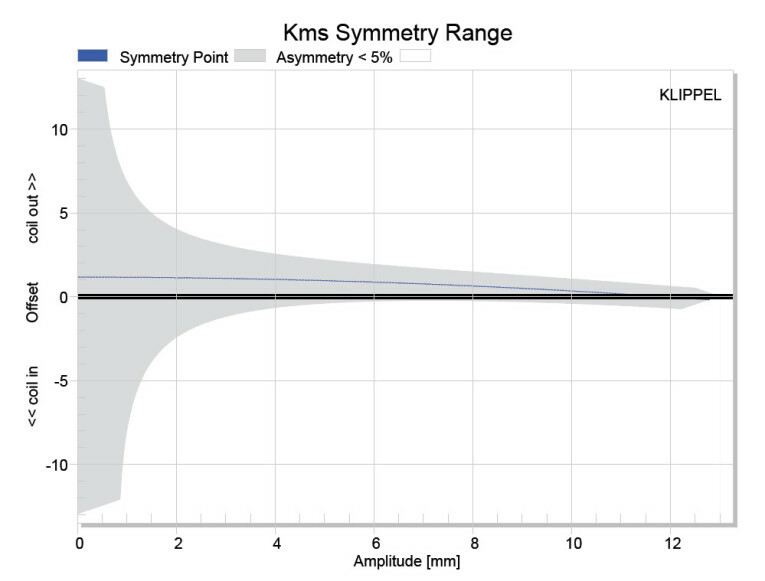 Figure 8: Klippel analyzer Kms symmetry range curve for the B&C Speakers 12BG76-8. 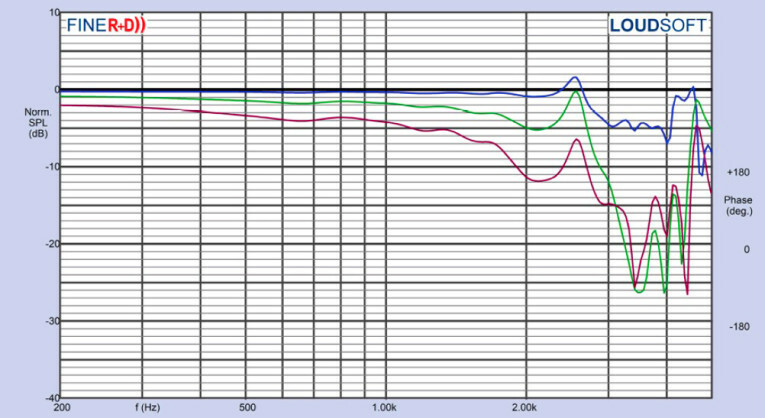 Figure 9: Klippel analyzer L(X) curve for the B&C Speakers 12BG76-8. Klippel analysis for the 12BG76-8, once again performed by Pat Turnmire of Redrock Acoustics, produced the Bl(X), Kms(X) and Bl and Kms symmetry range plots given in Figures 5-8. The Bl(X) curve for the 12BG76-8 (see Figure 5) is fairly broad but with some obvious offset, including being somewhat tilted. Looking at the Bl symmetry plot (see Figure 6), this curve shows a 2.4 mm coil-out offset at a point of reasonable certainty at the 5.5 mm position. The offset set remains constant to the physical Xmax position of 6.8 mm and beyond. Figure 7 and Figure 8 show the Kms(X) and Kms symmetry range curves respectively. The Kms(X) curve is rather symmetrical in both directions accompanied by a small amount of coil-out offset. Looking at the Kms symmetry range plot, the coil-out offset at the driver’s 6.8 mm physical Xmax is only 0.79 mm. 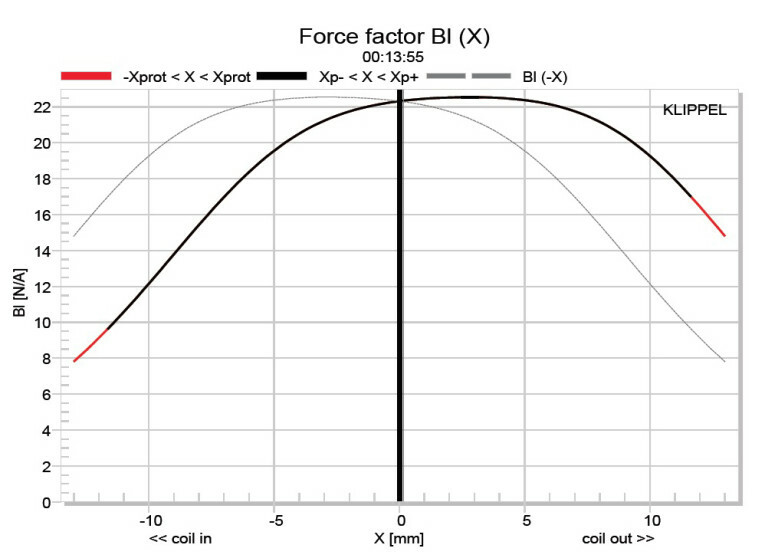 Displacement limiting numbers calculated by the Klippel analyzer for the 12BG76-8 were XBl at 82% Bl = 6 mm and for XC at 75% Cms minimum was greater than 11.6 mm, which means that for this B&C Speakers driver, the Bl is the most limiting factor for prescribed distortion level of 10%. If you apply the less conservative 20% criteria, XBl goes to 7.9 mm and XC stays the same, so definitely better. 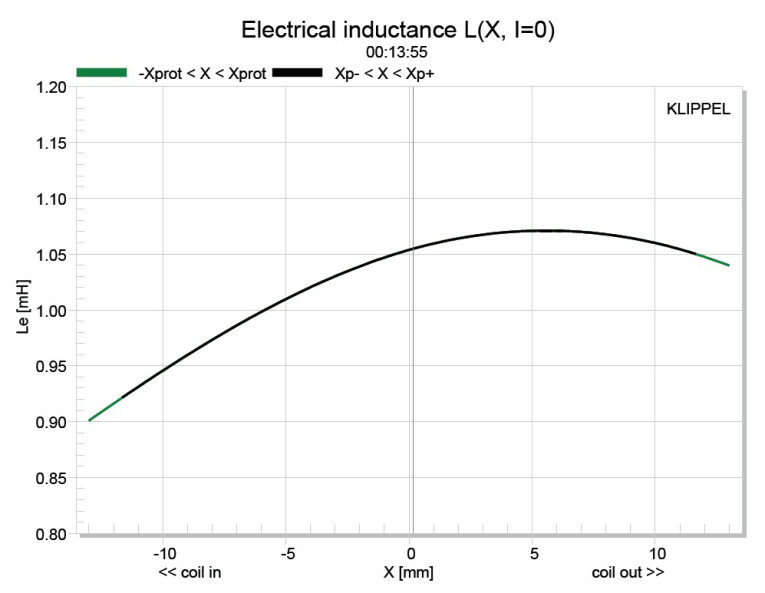 Figure 9 gives the 12BG76-8’s inductance curves Le(X). Inductance will typically increase in the rear direction from the zero rest position as the voice coil covers more pole area, which is not what is happening here, but is typical of this type of neodymium motor. The inductance swing for this driver is a really low 0.065 mH maximum, which is excellent performance. Figure 10: B&C Speakers 12BG76-8 on-axis frequency response. 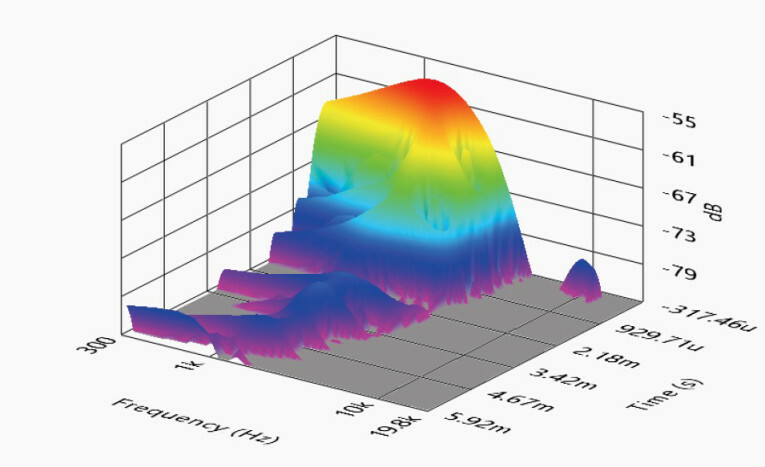 Figure 11: B&C Speakers 12BG76-8 on- and off-axis frequency response (black = 0°, blue = 15°, green = 30°, and purple = 45°). 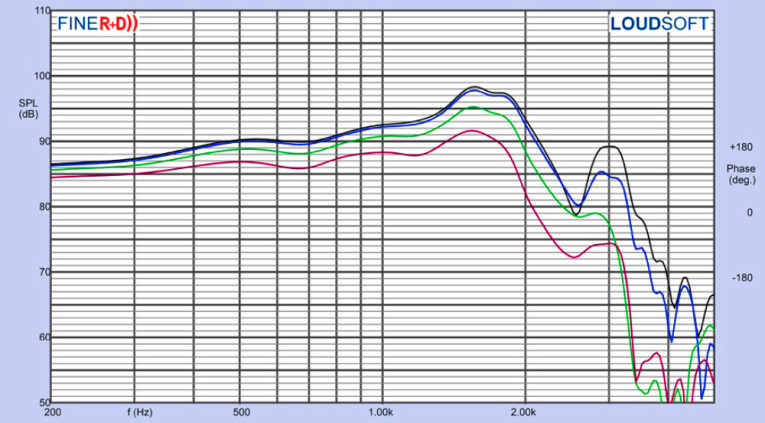 Figure 12: B&C Speakers 12BG76-8 normalized on- and off-axis frequency response (black = 0°, blue = 15°, green =30°, and purple = 45°). Figure 13: B&C Speakers 12BG76-8 180° horizontal plane CLIO polar plot (in 10° increments). With the Klippel testing completed, I mounted the 12BG76-8 in a foam-filled enclosure that had a 15” × 14” baffle and measured the device under test (DUT) using the Loudsoft FINE R+D analyzer and the G.R.A.S. 46BE microphone (courtesy of Loudsoft and G.R.A.S. Sound & Vibration) both on and off axis from 200 Hz to 20 kHz at 2 V/0.5 m normalized to 2.83 V/1 m using the cosine windowed Fast Fourier Transform (FFT) method. Figure 10 gives the 12BG76-8’s on-axis response indicating a smoothly rising response to the 7 dB breakup mode peak at 1.65 kHz. 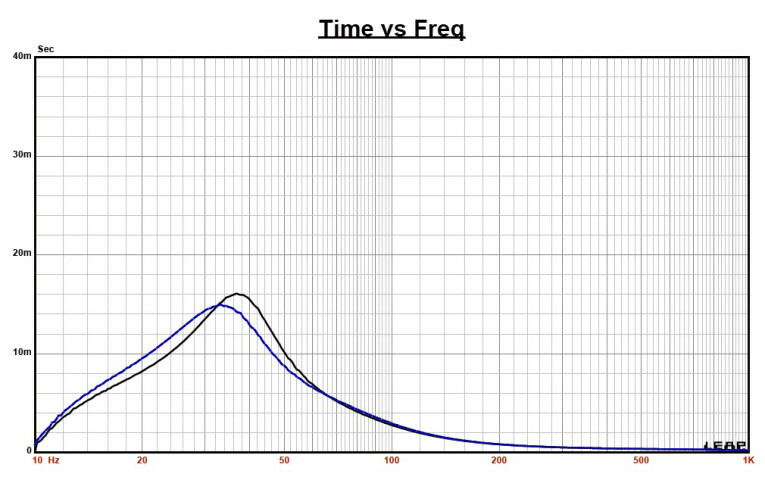 Figure 11 displays the on- and off-axis frequency response at 0°, 15°, 30°, and 45°, showing the typical directivity for a 12” woofer. Given the location of the breakup mode at 1.65 kHz, an upper crossover frequency would likely be around 1 kHz. Figure 12 shows the normalized version of Figure 11. Figure 13 shows the CLIO polar plot (in 10° increments and 1/3 octave smoothing). 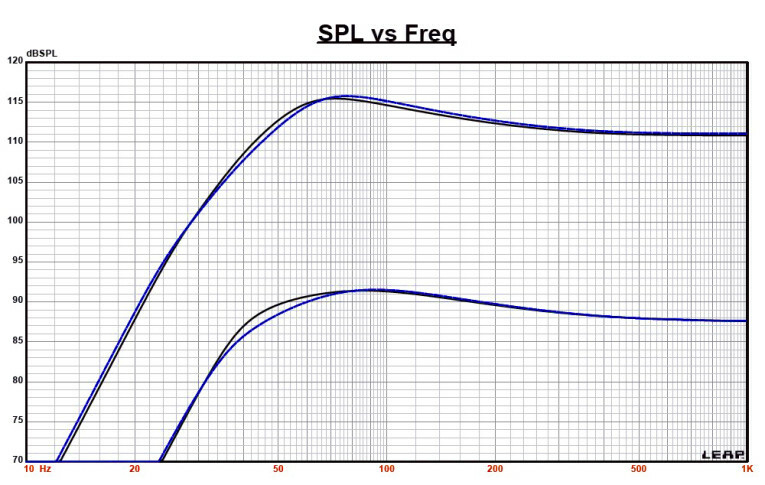 Figure 14: B&C Speakers 12BG76-8 woofer two-sample SPL comparison. Figure 15: B&C Speakers 12BG76-8 SoundCheck distortion plot. 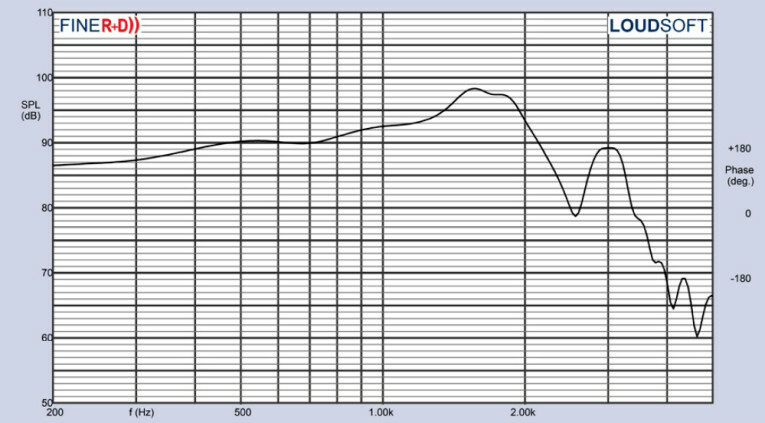 Figure 16: B&C Speakers 12BG76-8 woofer SoundCheck CSD waterfall plot. 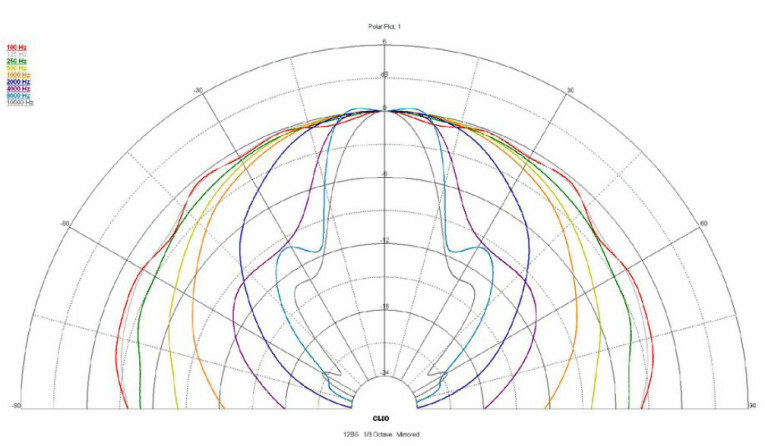 Figure 17: B&C Speakers 12BG76-8 woofer SoundCheck Wigner-Ville plot. 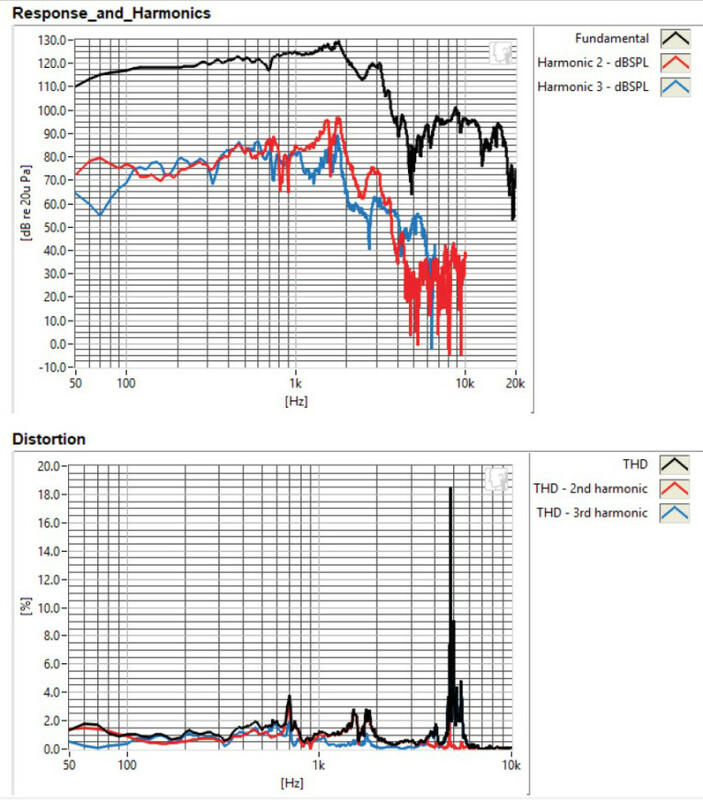 And finally, Figure 14 displays the two-sample SPL comparisons for the 12BG76-8, showing a close match within ±1 dB throughout the operating range. For the last series of tests, I again employed the Listen, Inc. SoundCheck AmpConnect analyzer and the SCM microphone to measure distortion and generate time-frequency plots. For the distortion measurement, I mounted the 12BG76-8 rigidly in free-air and set the SPL 104 dB at 1 m (13.7 V) using a pink noise stimulus, and then measured the distortion with the Listen microphone placed 10 cm from the driver. This produced the distortion curves shown in Figure 15. I then used SoundCheck to get a 2.83 V/1 m impulse response and imported the data into Listen’s SoundMap Time/Frequency software. Figure 16 shows the resulting CSD waterfall plot. 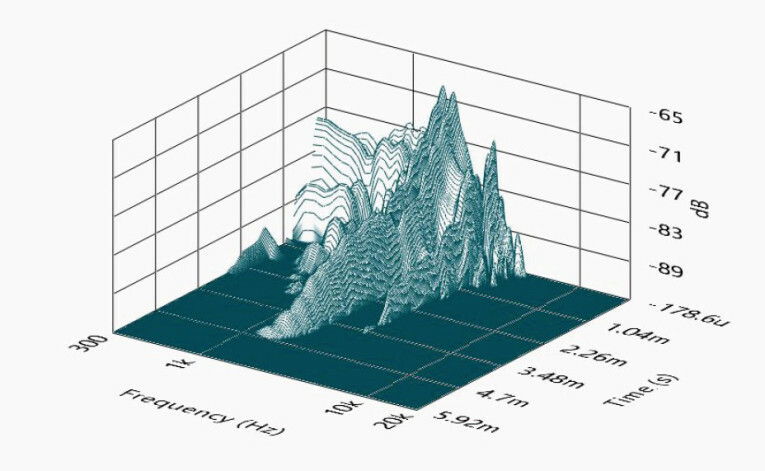 Figure 17 shows the Wigner-Ville plot (used for its better low-frequency performance). This article was originally published in Voice Coil, October 2018.